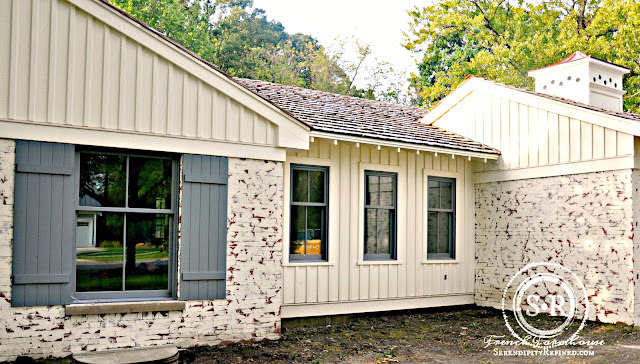 Today I'm going to tell you about the products and process that I used to create the rustic, time-washed look on the 1950 red brick portion of the farmhouse. I'm told that it's called "German schmear" by those in "Fixer Upper" circles...of course, all of that is lost on me because I've never had cable television in my life and I've never seen a single episode. 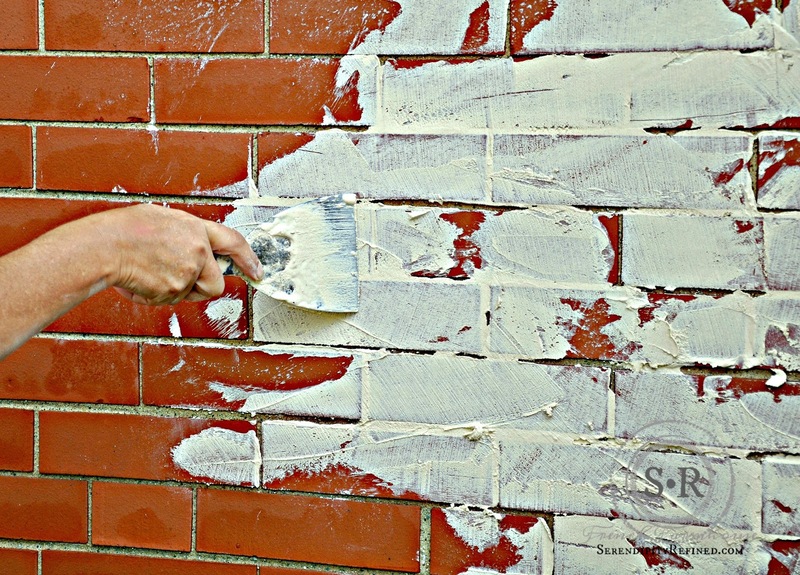 Painting the brick: I decided against this because I live in the Midwest where we have extremes of hot and cold and the paint is likely to peel. Also because brick is, by it's nature, porous and needs to "breathe". Over the course of a year, brick takes in and gives off both air and moisture as temperatures change. Sealing the brick with something non-porous like paint wasn't something that I wanted to do. Staining the brick. Lots of great choices out there and companies who will stain residential brick for around the same price as paint but I decided against this because I wanted a more rustic look. Lime wash: This is the first process that I actually tried on the brick. I found a local company, US Heritage Group, which makes lime wash. Lime wash is sprayed or brushed onto dampened brick and creates a uniform look that is much like that of paint but since it's made of lime, it's natural and allows the brick to "breathe". Lime wash can be tinted to a variety of colors and is a great alternative to paint on natural stone surfaces. 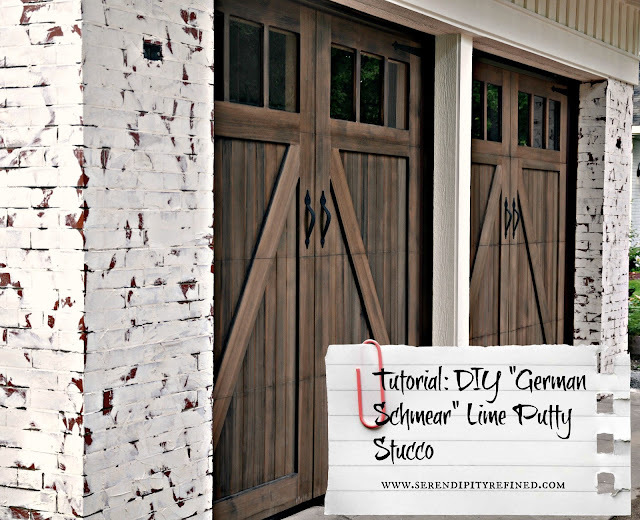 While I loved the look of lime wash, it still didn't give me the chippy, time worn patina that I was looking for so I called my friend Ty at US Heritage and we talked about Lime putty stucco. It's made largely from the same ingredients as the lime wash but has more aggregate and putty in it which makes it trowelable. Once he said those words, I had found my product. Drop cloths (for covering plants and anything metal. Lime is corrosive to metal). Stir or mixer to mix the lime putty. It's heavy and a paint mixer attached to a drill works best. It can be mixed by hand (I did it) but it is hard and time consuming. Plastic pump garden sprayer or hose end sprayer with a fine mist setting to moisten the brick and the schmear after it's applied so that it dries slowly. 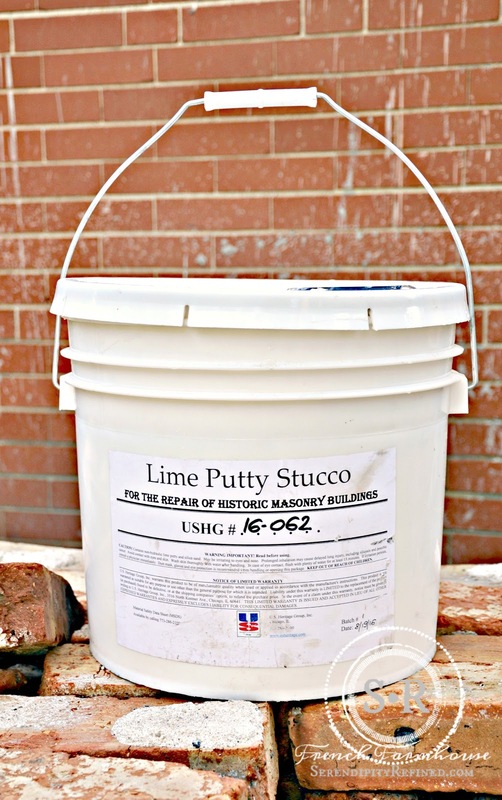 Note: Lime putty stucco should only be applied when the temperature is between 65 and 80 degrees Fahrenheit. 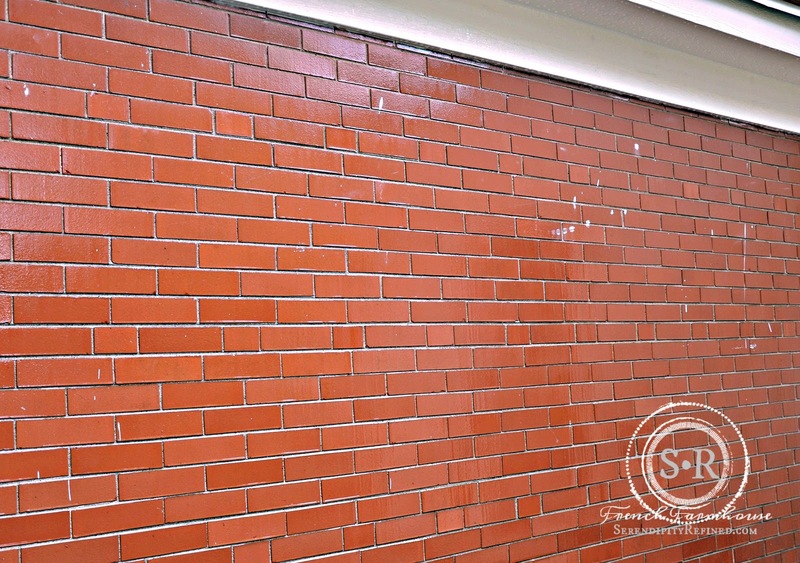 It is best applied on days when it is partly cloudy and not windy to allow the brick and the stucco to stay moist and dry slowly to prevent shrinkage and cracking during the drying process. 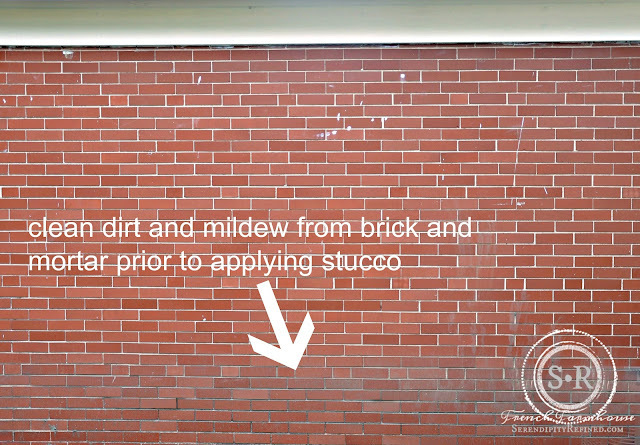 Clean the brick using a PH Neutral Masonry Cleaner and rinse well with water. The brick must be clean and free of mildew and dirt. Saturate the brick by repeatedly misting it with water until the brick changes color. 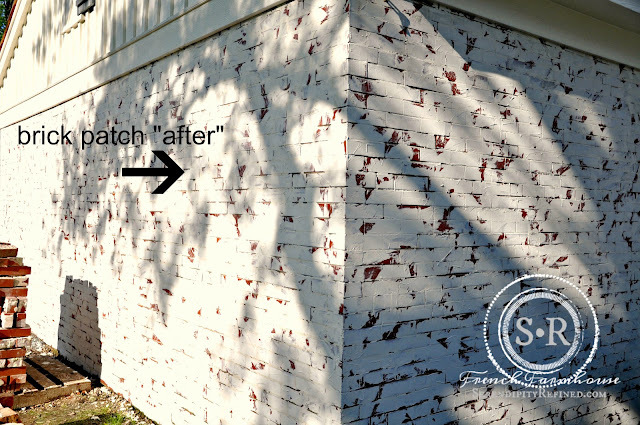 It's a good idea to do this to ensure that your brick is porous and hasn't been sealed so that the stucco can adhere to it. If you wet the brick and the water doesn't soak in, the stucco won't adhere and you should find another solution. Apply the schmear in random passes keeping the putty knife nearly parallel to the surface of the brick. Press hard and apply a thin coat. I left some "chunks" because my brick was smooth and I wanted it to have a more textured appearance. As the stucco dries, mist it lightly using a garden sprayer or fine mist hose sprayer. Be careful not to over moisten or the schmear will run. If this happens, wipe the surface clean with a cloth and a very diluted mixture of lime removal product and water, rinse very well and reapply the schmear. Note: lime removal product will remove the schmear but since brick is porous, the lime remover will also likely soak into the brick making it impossible to reapply the schmear until the brick is completely free of the lime remover. 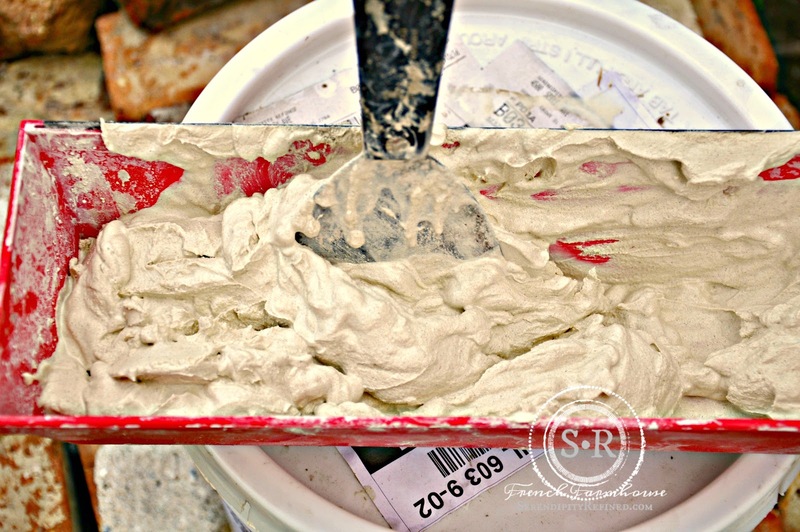 I used four 5 gallon pails of lime putty stucco on my ranch house. I had it tinted just slightly to match the ivory color of my siding. I started on the back of the house until I developed a rhythm for applying it. 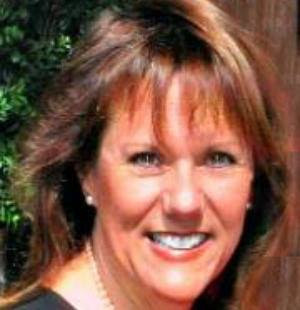 Once I got started, the application went fairly quickly. There are several different ways to apply the schmear and you can expose as much or as little of the brick as you want to. 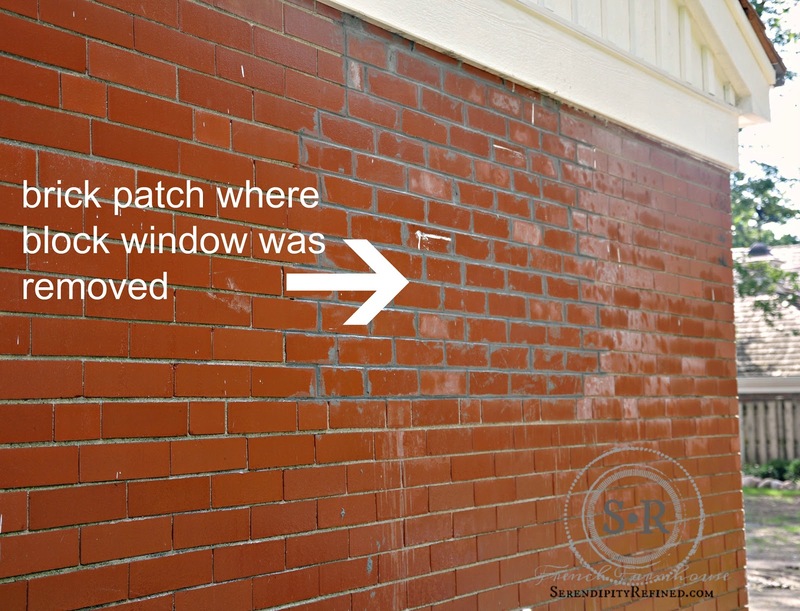 It would also be possible to completely mask off some bricks with tape, stucco over the tape and then peel it off if that is the look you desire. 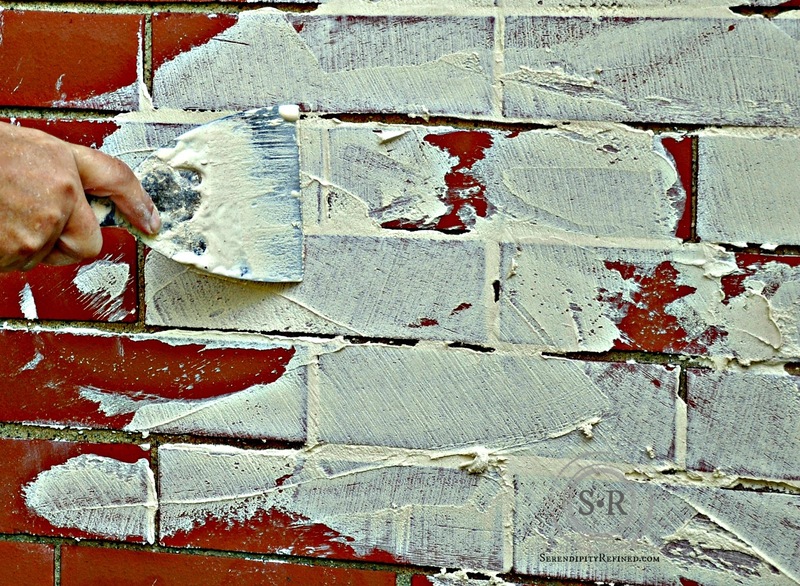 Disclaimer: This post represents my experience using lime putty stucco on the exterior of my red brick home. If you have any doubt or concern about using it on your home, consult the professionals prior to doing so. I hope that you can see how quick and easy it is to DIY lime putty stucco "German schmear" to change the look of brick without paint and that this tutorial provided enough information and inspiration for you to try it if it fits your vision. The farmhouse is nearing completion and I'll be sharing some progress photos next week.